The new iPad 6 and 3/4 was launched yesterday amid a storm of controversy. 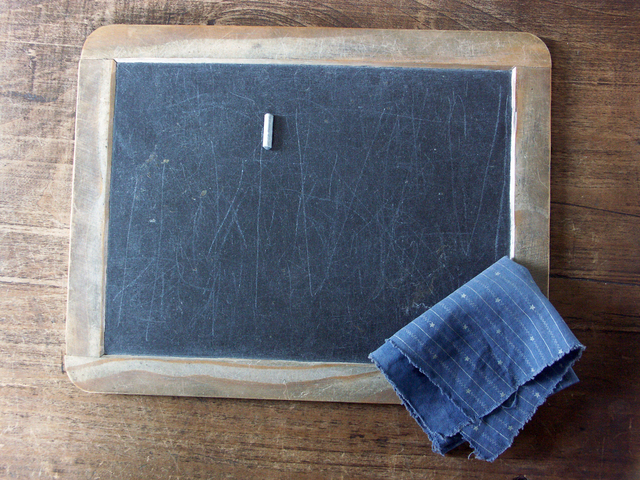 Apple bosses admit they have gone “back to basics” for a more “traditional” feel for the new iPad. It’s remarkably light, so it’s easy to carry in your handbag or manbag. There’s a slot at the side for your ‘Apple ichalk’. You get one white chalk free. Other colours are available online, of course. Superficially, it is beautiful. It’s black board is encased in a lovely waxed pine shade and is very simple to use. No instructions are required, even your granny could use it. There’s no time wasted connecting to the internet or loading time-consuming apps: just scribble and go. It’s available on pay and go, or you can upgrade to contract if you prefer. You’ll get a free cover and extended guarantee if you do this, so it’s well worth the extra money. Quite frankly, we’re not sure how we’ve lived this long without one.